Former Liverpool star Luis Garcia has tipped Mohamed Salah to be a success at Anfield and rebuffed fears of his hefty price-tag hampering his progression. 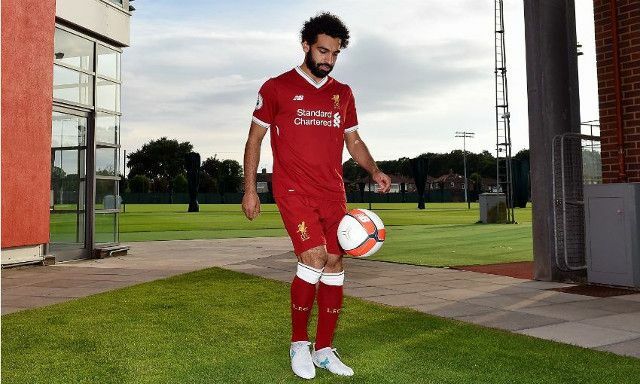 Salah finalised his £36.9million move from Roma on Thursday, agreeing a five-year deal reportedly worth £90,000-a-week and giving the Reds yet another explosive attacking weapon to add to Jurgen Klopp’s potent front-line. Garcia is confident the Egyptian’s previous experiences have set him in good stead to slot in comfortably and adjust to his new manager’s style of play. “It’s not about the money. It’s about how he will adapt to the team, to the philosophy of the club and playing under [Jurgen] Klopp,” he told Omnisport. “I’m feeling the love from Liverpool fans! I will give 100 per cent for this club.” ? Salah arrives with an impressive reputation having enjoyed standout spells at first Fiorentina and then Roma since his unsuccessful spell at Chelsea around three years ago. The winger has the technical attributes to make him a perfect fit to not only Klopp’s attacking setup but also the manner in which he demands his players approach the game. At only 25-years-old, he can already be considered as well-travelled which is sure to be valuable in helping him settle down in England quickly for a second time.